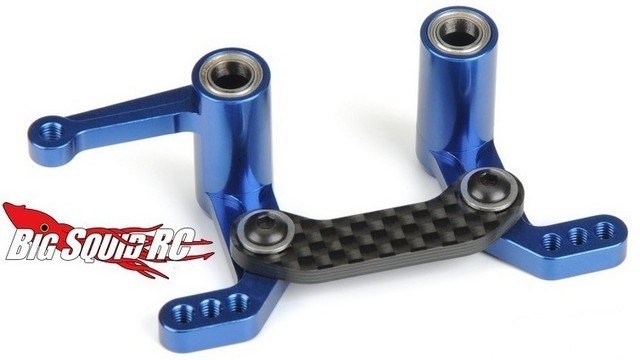 Pro-Line PRO-2 Aluminum Steering Rack « Big Squid RC – RC Car and Truck News, Reviews, Videos, and More! You can never have a tough enough truck, nor can you have enough bling. The new PRO-2 Aluminum Steering Rack from Pro-Line does both. Made from aluminum with a carbon fiber steering link, it has both the bling and toughness you are after. The rack comes with bearings for silky smooth performance, while an eliminated servo saver helps to give the most precise control possible. The rack fits the Pro-Line PRO-2 SCT, Pro-Line PRO-2 SC Buggy, Traxxas Slash 2WD and Traxxas Electric Rustler. It has a part number of #6067-01, a street price of $42, and you can get complete details at This Link over on Pro-Line’s website. Check Out more Pro-Line news on BigSquidRC.